Lithuania-headquartered FL Technics has further expanded its customer base by landing WOW Air and Corendon Dutch Airlines as its new clients. Lithuanian provider of aircraft maintenance, repair and overhaul services (MRO) has recently entered into agreements with Corendon Dutch Airlines for both line and base maintenance services of its small fleet of three aircraft. The Dutch leisure carrier is part of the Corendon Travel Group which started operations under its own AOC in 2011 and flies to destinations in Europe and North Africa. But more importantly, Vilnius-based provider signed up WOW Air, fast-growing Iceland low-cost carrier, for base maintenance services. Last week, WOW Air’s first two Airbus A321s came to FL Technics facilities for the base maintenance projects. As a rapidly developing company, operating fleet of fifteen Airbus A320 family aircraft and three A330 wide-bodies, WOW Air is very promising client for FL Technics. 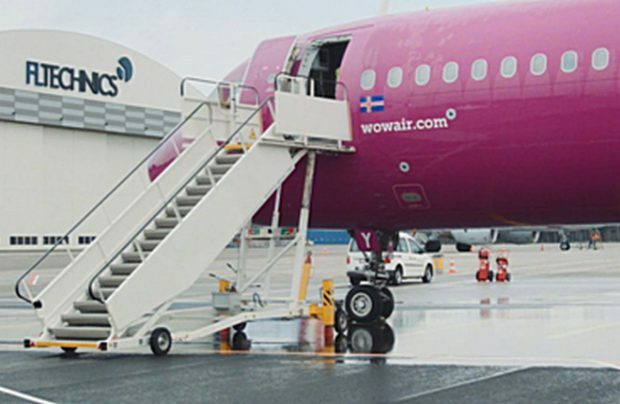 Keflavík-based WOW Air is focusing on low-cost transatlantic flying. FL Technics posted a net profit of 5.3 million euros in 2017, attributing the success to, among other things, client diversification. Still at least 30 per cent of the sum came from Russia and the CIS, CEO Zilvinas Lapinskas told Russian Aviation Insider earlier. The company also opened eight new line maintenance stations across the world last year in Germany, Spain, Latvia, Russia and the UK and it now operates in 15 countries.